Blue light enriched white light imposes threat to human health and ecosystems. Specifically, extensive use of electric light at night (LAN) might cause sleep disorder, obesity, diabetes, cardiovascular diseases, and cancers of breast and prostate. We will demonstrate that blue light hazards can be minimized by the use of candlelight OLED, which is much safer from retina protection perspective and better from melatonin generation perspective. Importantly, the human friendly blue light-less OLED is also found to attract much lesser insects after dusk. Lighting Renaissance is likely to take place and lighting history to be written with such an innovative lighting measure. 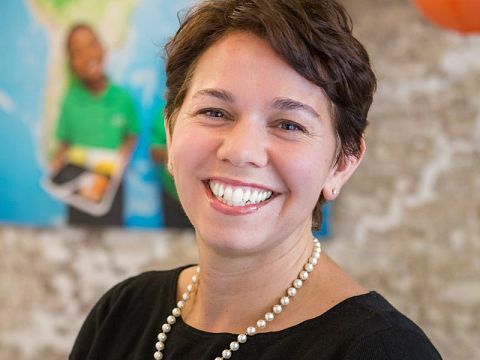 Claudia Riegel earned her degrees from Purdue University, University of Georgia, and obtained a Ph.D. from the University of Florida. She started at the City of New Orleans Mosquito, Termite, and Rodent Control Board since 2004. As Director she provides technical support for the City of New Orleans and the pest control industry, conducts independent research, collaborates with industry for enhancements of existing products and testing of new products, and collaborates with government organizations and universities on a variety of research projects involving rodents, mosquitoes, termites, and a variety of other urban pests. Structures in the French Quarter and throughout New Orleans has had a long history of severe termite pressure from Reticulitermes spp. and the Formosan subterranean termite, Coptotermes formosanus. Since C. formosanus was first confirmed in New Orleans in 1966, infestations of this termite have become a threat to the structural integrity of many historic structures, some of which date back to the early 1700’s. Structures are often connected or in close proximity. Limited soil access around structures can make it difficult to effectively treat a structure with a liquid termiticide, often reducing its ability to protect structures. Termite baits containing an insect growth inhibitors has been extensively used by the City of New Orleans for control of subterranean termites in public buildings as well as by the pest management industry in private properties. Baits use small amounts of insecticides that are targeted to the termite by the design of the system. Valuable information about the population density of termite colonies in New Orleans and has made a significant contribution to the ongoing efforts of termite management in the French Quarter and in the State of Louisiana. In 2017, members of the City of New Orleans, were given the unique opportunity to assist the city of Mobile to protect some of their historic buildings from termite attack in an area-wide project. The results of the projects will be presented. Daniel Montplaisir has completed his PhD from UQTR, Canada. He is the Professor at UQTR and Forest Resources and Wood Products Excellence Chair. His research interest is renewable green composite material from lignocellulosic resources. Low-density polyethylene (LDPE) was reinforced with natural cellulose filaments (CF) and CF acylated by the sizing agent, alkenyl succinic anhydride (ASA) reagent in an aqueous medium, by simple impregnation. The influence of CF loading on the mechanical properties and water absorption behavior was evaluated. A maximum of 40% (w/w) CF content was found to provide excellent mechanical properties with respect to neat LDPE. A comparison of mechanical properties of LDPE-CF composites and LDPE-glass fiber (GF) composites showed a potential advantage of CF as reinforcement in term of cost and specific properties over conventional GF reinforcement. The chemical modification of the MFC with ASA improved the interfacial adhesion with the matrix and hence the mechanical properties of the composites while decreasing their water uptake capacity. In addition, it was shown that the degree of substitution strongly influenced the performance of the composites. Efficient hydrolysis of lignocellulosic biomass to fermentable sugars is a challenging step and the primary obstacle for the large scale production of cellulosic ethanol. Ionic liquids are well known for their ability to dissolve cellulose and our interest in the search for efficient catalytic methods for saccharification of polysaccharides has led us to develop-SO3H group functionalized Brönsted acidic ionic liquids (BAILs) as solvents as well as catalysts. Later we found that these sulfuric acid derivatives can be used as catalysts in aqueous phase as well. For example, BAIL 1-(1-propylsulfonic)-3-methylimidazolium chloride aqueous solution was shown to be a better catalyst than H2SO4 of the same [H+] for the degradation of cellulose. This observation is an important lead for the development of a BAIL based cellulase mimic type catalyst for depolymerization of cellulose. In an attempt to develop a recyclable, simple enzyme mimic type catalysts we have studied quantitative structure activity relationships (QSAR) of a series of BAIL catalysts and found that activity with different cation types decreases in the order: imidazolium>pyridinium>triethanol ammonium. Furthermore, we have investigated the effects of selected metal ions on 1-(1-propylsulfonic)-3-methylimidazolium chloride BAIL catalyzed hydrolysis of cellulose in water at 140-170°C. The total reducing sugar (TRS) yields produced during the hydrolysis of cellulose (DP~450) in aq. 1-(1-propylsulfonic)-3-methylimidazolium chloride solution at 140-170°C using Cr3+, Mn2+, Fe3+, Co2+ Ni2+, Cu2+, Zn2+, and La3+ chlorides as co-catalysts as well as interactions of catalysts with cellulose are shown in the figure below. These results show that cellulose samples heated with Mn2+, Fe3+, Co2+ as co-catalysts produce significantly higher TRS yields compared to the sample heated without the metal ions. The highest catalytic effect enhancement is observed with Mn2+ and produced TRS yields of 59.1, 78.4, 91.8, and 91.9 % at 140, 150, 160, and 170°C respectively; whereas cellulose hydrolyzed without Mn2+ produced TRS yields of 9.8, 16.5, 28.0, and 28.7% at the same four temperatures. This is a 503, 375, 228, and 220% enhancement in TRS yield due to the addition of Mn2+ as a co-catalyst to BAIL catalyzed cellulose hydrolysis at 140, 150, 160 and 170°C respectively. This paper will present the development of BAIL based artificial cellulase type catalysts, QSAR studies, catalyst immobilizations, applications on lignocellulosic biomass materials (corn stover, switchgrass, poplar) and recycling studies. 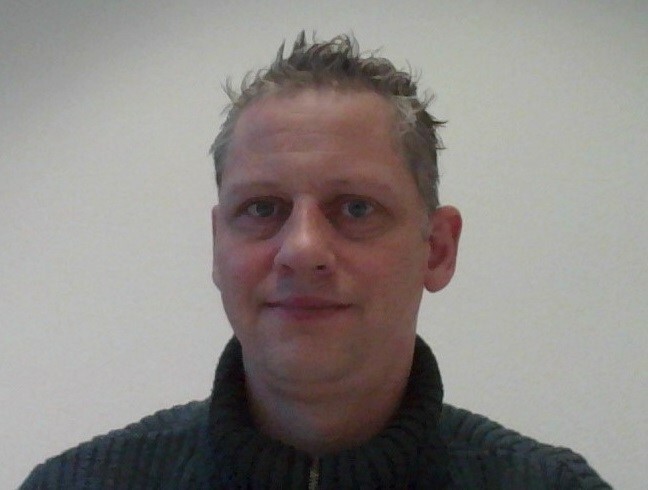 Hans Heeres (male) graduated in 2003 and got his PhD in 2010 (both in chemical engineering at University of Groningen). He worked on asymmetric homogenous catalysed hydrogenation- and hydro-acylation reactions and on the development of a one-pot synthesis of ?-valerolactone from sugars. Since joining BTG as a researcher in 2010, his main expertise and work field is in the recovery and production of valuable chemicals and products from biomass derived solids and liquids, and the chemical/physical analysis of intermediates, building blocks and final products. Biomass is a sustainable feedstock for the production of high added value chemicals and materials, and will play an important role in the transition of the European process industry to a sustainable process industry. However, for the optimal utilization of these bio-resources the fractionation of the biomass on basis of functionalities is required. The innovative approach of Bio4Products is to apply fast pyrolysis to enable the fractionation of the bio-resource, but keeping the key chemical functionalities in separate, depolymerized fractions. In an earlier project, a bench-scale fractionation unit was constructed to process 12 kg/h of pyrolysis oils and produce raw-materials for further upstream processing. Currently this continuous bench scale fractionation facility is being scaled up from a TRL-5 to TRL-6-7. The construction of the pilot-plant with a pyrolysis oil processing capacity of the 3 t/d has started, and should be finished in Q2 of 2018. Subsequently, Bio4Products will demonstrate the use of the resulting intermediate processing streams for the production of wood preservation products, moulding resins, phenolic resins and roofing material (see Figure) as cost-effective renewable alternatives for fossil resources in the conventional products (30-100% substitution). Like for the fractionation, each of the steps in the whole chain has at least been proven on bench-scale (TRL5) and should reach TRL 6-7 by execution of this project. The feedstock flexibility will be shown by demonstrating the complete chain for four different biomass resources (residual) representative for the majority of biomass resources available in Europe. Both the sugar and lignin stream can be produced in non-concentrated form, or can optionally be further treated in subsequent processing. For the wood modification, the dilute sugar stream is used, while for the moulding resins a more concentrated sugar stream is desired. The untreated lignin can be readily used in phenolic resins, while a concentrated (solid) stream is desired for roofing material. Only for the optional resin extraction an additional solvent is applied, which will be recycled. The project, which began in September 2016 will run for four years, and is funded by the sustainable process industry through resource and energy efficiency (SPIRE) programme, under the EU framework programme Horizon 2020. In this contribution an update will be given on the construction of the pilot-plant and the applications of the various fractions. 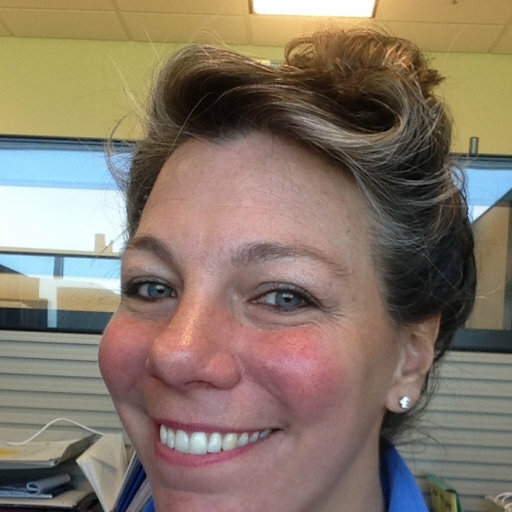 Erin Cloherty is an Entomologist at the City of New Orleans Mosquito, Termite and Rodent Control Board. She has completed her MSPH in Tropical Medicine and Parasitology at Tulane University School of Public Health and Tropical Medicine in New Orleans, Louisiana, USA. She is responsible for many academic and company-sponsored research projects that span multiple disciplines in the USA and internationally. She has lectured on Integrated Pest Management in certification classes for professionals nationally and internationally, to the public and to organizations (AMCA, NPMA). She also does community outreach with our Mosquito Control operations team and collaborates with other city agencies. Overdependence on the use of insecticides has led to the resistance in mosquito populations and has created significant challenges in controlling mosquitoes globally. In 2016, the City of New Orleans Mosquito Control Board evaluated a pulverized perlite product (Imergard-WP, Imerys, Paris, France) against three species of mosquitoes in the field and in the laboratory. Control of the mosquitoes was strictly mechanical and formulation did not contain a chemical insecticide. Twenty sites were selected, 10 treated (Imergard) and 10 controls (water) with similar structure and yard size. Yards were inspected for breeding-sites and assessed for optimal-application. A two-week baseline survey was taken to attain preliminary mosquito populations. The exterior of residences were treated as well as wood chips which were placed under houses with subsamples pulled weekly for bioassay. Imergard had a 96% mortality rate against Aedes aegypti, a mortality rate of 85% against Aedes albopictus and a 93% mortality rate against Culex quinquefasciatus in the bioassay, eight weeks after application. The study was repeated in Monte Verde, Honduras in 2017. The houses in Monte Verde were substandard and were open to mosquito invasion. This location is an area of active Dengue, chikungunya and Zika virus transmission. Mosquito pressure was monitored by BG Sentinel-2 traps (Biogents AG, Regensburg, Germany) and ovicups. Sites were monitored for ten weeks. Bioassays were conducted with cement chips to mimic housing structures. Mosquito control is not always affordable, accessible, or is restricted. A non-chemical, low-cost option would provide greater access to mosquito control around the world. M. Antónia Nunes is a Ph.D. student in Pharmaceutical Sciences (Nutrition and Food Science Speciality) at the Faculty of Pharmacy of the University of Porto, Portugal. She has a Degree in Nutritional Sciences and an MSc in Consumer Sciences. Since 2012, she is a researcher of REQUIMTE (Rede de Química e Tecnologia), the largest network in Chemistry and Chemical Engineering established in Portugal, which is focused on the development of Sustainable Chemistry. 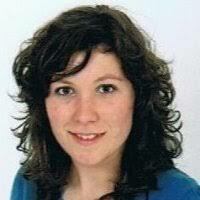 She has professional training in Environmental Management and Quality Management Systems. Her research activities have been developed at the Department of Chemical Sciences of the Faculty of Pharmacy of the University of Porto in the food chemistry and nutrition fields. The central work that she has been developing is related to olive oil quality evaluation and olive oil processing by-products valorisation. In 2014, she joined to a co-promotion project funded by the National Innovation Agency, whose work plan included the characterization and valorisation of the olive oil processing industry by-products intending their application to the development of innovative food and cosmetic products. From this work, it was developed an international patent related to olive pomace valorisation. She integrates also projects in the area of agro-industry by-products valorisation working with by-products of almond, pumpkin and pistachio processing. 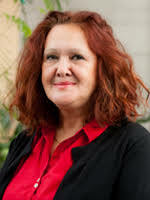 She has publications in international indexed Scientific Journals in food chemistry area as author and co-author (10), chapter books (8), national publications and conference proceedings (10), and an international patent. Over the last years, olive oil production increased worldwide. Along with the growth of this agro-industry sector, a high rate of residues has been produced. Olive pomace is the major output of olive oil processing. This olive by-product is a solid residue with high water and oil contents, being phytotoxic, due to its significant phenolics amount . Nonetheless, phenolics are bioactive compounds with well-recognized benefits for human health and well-being . Therefore, there is an increasing awareness to recover and apply these compounds on innovative food and/ or cosmetic products. In order to assess the biocompounds composition of olive pomace, the proximate composition (total protein and lipids, ash, and moisture) and the profiles of vitamin E (HPLC-DAD-FLD), fatty acids (GC-FID) and phenolics (HPLC-DAD-FL/MSn) were determined. Furthermore, a sustainable process for antioxidants extraction-Multi-frequency Multimode Modulated (MMM) ultrasonic technique – and a conventional solid-liquid extraction were performed and compared . The total phenolics content and antioxidant activity (ferric reducing antioxidant power and DPPH• scavenging ability) of the extracts were analyzed in order to assess the efficacy of both extraction methodologies . The vitamin E profile of olive pomace comprised the vitamers ?-tocopherol, ?-tocopherol, ?-tocotrienol and ?-tocopherol. ?-Tocopherol was the major form present (2.63 mg/100 g olive pomace). The fatty acid analysis showed that the lipid fraction of olive pomace was especially rich in oleic acid (75%), followed by palmitic (10%), linoleic (9%), and stearic (3%) acids. The major phenolic compounds identified were distributed as follows: hydroxytyrosol > comselogoside > elenolic acid derivative > tyrosol > oleoside riboside. Hydroxytyrosol content was 238.4 mg/100 g d.w. of olive pomace, while tyrosol was present in lower amount (9.6 mg/100 g). Concerning the antioxidants extraction, the MMM technique allowed a faster (5 min) and higher recovery (p<0.05) of the compounds, compared to the conventional solid-liquid extraction (60 min) (Figure 1). Hence, it seems to be a very promising green and effective methodology to extract antioxidants from olive pomace. Attending to the profile and content of the bioactive compounds present either in lipid fraction or in the aqueous fraction of the olive pomace, this residue is an exploitable source to recover bioactive compounds. Olive pomace valorization is, at this moment, mandatory, and the added-value products that can be obtained from it allow to foreseen new innovative industrial applications in a circular economy perspective. Angela Koeckritz is a group leader at Leibniz Institute for Catalysis (LIKAT) in Rostock. Her research has long been focusing on catalytic reactions applied to fine chemicals. In particular, diverse catalytic oxidations using green oxidants, isomerisations and hydrogenations in the liquid and gas phase have been explored, mainly utilizing heterogeneous catalysts. Renewables such as fatty acid derivatives, terpenes or carbohydrates have served as feedstock. She studied chemistry and finished her PhD on an issue of heterocyclic chemistry at Humboldt University in Berlin in 1985. Then she became scientist in a research group dealing with phosphorus-containing compounds for pharmaceuticals and agrochemicals at the Academy of Sciences in Berlin. Since 1994, catalysis research in the liquid phase was in the focus of her interest during the work at the Institute for Applied Catalysis Berlin-Adlershof (ACA). In 2006, this institute merged with the Institute for Organic Catalysis Research in Rostock forming LIKAT. (-)-Menthone and (+)-isomenthone are used in the fragrance industry in synthetic peppermint oils and bases. They can be manufactured from menthol by oxidation with toxic chromic acid or catalytic dehydrogenation applying copper chromite. Various catalytic reactions for the synthesis of menthone/isomenthone in the liquid phase are described in the scientific literature. But from a sustainable point of view, a solventless process using heterogeneous catalysts would be desirable. In this study, the oxidative dehydrogenation of (-)-menthol to (-)-menthone and (+)-isomenthone in a flow reactor in the gas phase was investigated for the first time. Menthol was placed in a saturator and evaporated by the reactant/carrier gas of 5 vol% O2/95 vol% Ar. Type of catalysts, reaction temperatures, feed concentrations, residence times and catalyst amounts were varied. Best of the catalysts screened was found to be RuMnCe/CeO2 with Ru contents of 0.5 to 1.0 wt%. A total yield of menthone + isomenthone up to 69% (at 74% total selectivity) was observed. 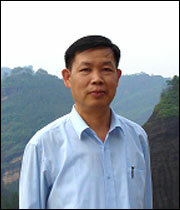 Zhoucheng Wang has completed his PhD from Xiamen University in 1997. He is the professor of the College of Chemistry and Chemical Engineering at Xiamen University since 2006. His research interests concern synthesis and characterization of nano-composite materials and multilayer coatings, materials electrochemistry and surface engineering. He has published more than 120 papers in reputed journals. Heavy metal ions such as Cr (VI), Cu (II), Zn (II) and Cd (II) are known to be toxic and hard to be biodegraded. With the rapid development of industry, large amounts of wastewater containing heavy metal ions, which destroy the environment and harm human health, are produced by metalplating facilities, tanneries, power generation facilities, paper industries, mining operations and fertilizer industries. Therefore, the removal of such toxic metal ions from wastewater is a crucial issue. Adsorption is now recognized as an effective and economic method to remove heavy metal ions from wastewater. The adsorption process offers flexibility in design and operation and in many cases will produce high-quality treated effluents. In addition, since the adsorption is sometimes reversible, adsorbents can be regenerated by suitable desorption process. In this work, chitosan-coated MnFe2O4 nanoparticles (CCMNPs) were synthesized by an eco-friendly method. The as-synthesized products were characterized by X-ray powder diffraction (XRD), transmission electron microscopy (TEM), Fourier transform infrared (FTIR) and superconducting quantum interference device (SQUID). The results showed that NaOH played a key role in the preparation of CCMNPs. The as-prepared CCMNPs with a saturation magnetization of 16.5 emu/g were used as a magnetic nanoadsorbent to remove toxic Cu(II) and Cr(VI) from aqueous solution. Factors influencing the adsorption of heavy metal ions, such as pH value, agitation time and initial metal concentration were investigated. The maximum adsorption capacities of Cu(II) and Cr(VI) on CCMNPs were 22.6 and 15.4 mg/g, respectively. The competitive adsorption of Cu(II) and Cr(VI) from binary solution by CCMNPs was also studied, and the results showed that the affinity between Cu(II) and CCMNPs was much higher than that between Cr(VI) and CCMNPs. Hao Fang obtained his PhD degree in 2014 at the Department of Biochemical Engineering, Zhejiang University, China. Then, he joined National Engineering Laboratory of Cereal Fermentation Technology, Jiangnan University, China as Senior Lecturer. In 2016, he moved to College of Life Sciences, Northwest A&F University, China as Associate Professor. His research interests include Biochemical Engineering, Industrial Microbiology and Biotechnology and Green Bio-manufacturing. He has published more than 20 journal papers. Single cell oil (SCO) production from lignocelluloses by oleaginous microorganisms is still high in production cost, making the subsequent production of biofuels inviable economically in such an era of low oil prices. Therefore, how to upgrade the final products of lignocellulosebased bioprocess to more valuable ones is becoming a more and more important issue. Differently sourced cellulases were compared in the enzymatic hydrolysis of the steam-exploded corn stover (SECS) and the cellulase from the mixed culture of Trichoderma reesei and Aspergillus niger was found to have the highest enzymatic hydrolysis yield 86.67±4.06%. Three-stages enzymatic hydrolysis could greatly improve the efficiency of the enzymatic hydrolysis of SECS, achieving a yield of 74.24±2.69% within 30 h. Different bioprocesses from SECS to SCO were compared and the bioprocess C with the three-stages enzymatic hydrolysis was the most efficient, producing 57.15 g dry cell biomass containing 31.80 g SCO from 327.63 g SECS. An efficient and comprehensive process from corn stover to long chain ?,?-dicarboxylic acids (DCAs) was established by employing self-metathesis, capable of producing 6.02 g long chain DCAs from 409.54 g corn stover and 6.02 g alkenes as by products. Onsite cellulase production by the mixed culture of T. reesei and A. niger is proven the most efficient in providing cellulase to the lignocellulosebased bioprocess. Three-stages enzymatic hydrolysis was found to have very good application value in SCO production by Trichosporon cutaneum from SECS. A whole process from corn stover to long chain DCAs via a combination of biological and chemical approaches was successfully established and it is an enlightening example of the comprehensive utilization of agricultural wastes. Satyannarayana Panchireddy received his MSc. degree from University of Hyderabad, India, in 2012. He works as research assistant (DRDO- Junior Research Fellow) on synthesis of norbornene derived polymers at Indian Institute of Science Education and Research-Kolkata (IISER- K), India, in 2012-13. 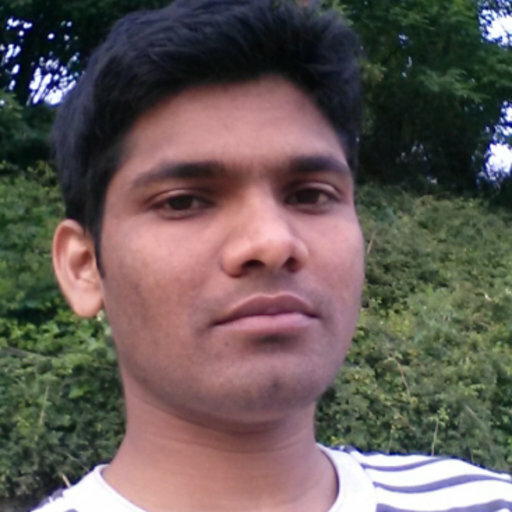 He moved to KU Leuven, Belgium, in 2014-15, to work as research associate on polyelectrolyte thin film membranes. He is currently PhD Researcher under supervision of Prof. Christine Jerome, and Dr. Christophe Detrembleur at Laboratory of Center for Education and Research on Macromolecules (CERM), University of Liège, Belgium, 2015-. His current research focus on the synthesis and development of novel sustainable non-isocyanate polyurethanes for innovative applications as coatings and adhesives for automotive, aerospace, electronics, footwear, pharmaceuticals etc. In the last 5 years, isocyanates-free polyhydroxyurethanes (PHUs), synthesized by step-growth polymerization between biscyclic carbonates and di- or poly-amines, have emerged as a novel class of polyurethanes (PUs). These PHUs find promising applications in flooring, paints, as thermoset materials or (thermal insulation) foams. PHUs can be also exploited advantageously for designing the next generation of high performance polyurethane adhesives. Thanks to the presence of pendant hydroxyl groups favouring the polymer/substrate interactions, the adhesion performances of PHUs may equal or even surpass the ones of conventional PUs. In this contribution, we focused on the design of novel reinforced bio- and CO2-based PHU thermosets adhesives with high shear adhesion strength for metal substrates (aluminium and stainless steel). The research included [I] The synthesis of a library of bi- or multifunctional 5-membered cyclic carbonates by coupling CO2 with (bio-based) epoxidized precursors using a novel home-made binary organocatalyst highly performant under very mild experimental conditions. 3–7[II] The development of solvent-free reinforced PHU thermoset adhesives8 from various cyclic carbonate/amine/functional fillers formulations. For all formulations, curing kinetics were monitored by rheology to determine the gelation time and the thermo-mechanical and physico-chemical properties of PHUs were evaluated on freestanding films [III] The evaluation of the adhesives performances for metal sticking:8 The adhesion of (reinforced) PHUs onto Al-2024-T3 or stainless steel substrates was evaluated by standard cross-cut adhesion (5B) and MEK double rubber (> 300) tests and shear adhesion strength (> 16 MPa). Jakob Köchermann studied chemical engineering at the Karlsruhe Institute of Technology (KIT) and Technical University of Dresden (TUD). He received his diploma (equiv. to MSc) in 2014 at TUD. In 2015 he joined German Biomass Research Center, where he worked until 2016 as research fellow, focusing on hydrothermal conversion of lignocellulosic biomass. 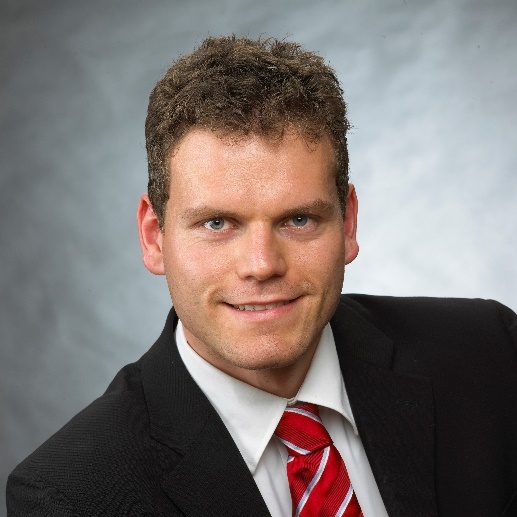 Since 2016 he is PhD fellow at German Biomass Research Center. Within the framework of his PhD thesis, Jakob Köchermann works on hydrothermal conversion of organosolv hemicellulose and xylose to furfural. In recent years the production of furfural from D-xylose and hemicellulose rich streams from the pulp and paper industry were extensively discussed. However, one problem that has always been described was the formation of insoluble humins by self- and cross-polymerization of furfural. Due to these side reactions the product yield and selectivity decreases. Therefore, the use of biphasic systems or ionic liquids was investigated to avoid this issue. Promising results have been shown but such systems could by costly due to expensive solvents and the subsequently recovery processes. Another approach to suppress polymerization of furfural is the usage of alcohol/water mixtures as reaction medium. The alcohol can react with the sugars and stabilize the reactive intermediates. For our exploration as reaction medium ethanol/water with different mass ratios were tested. Xylose was used as model compound for organosolv hemicellulose and sulphuric acid as homogeneous catalyst. The experiments were conducted in a thermostatically heated 500 mL stirred batch reactor at three temperatures (180, 200 and 220°C). To avoid the heating phase, the xylose was dissolved in water and transferred in a liquid charging pipette made of stainless steel. The educt solution was added to the ethanol/water mixture only after reaching the reaction temperature. Immediately after addition, a first sample was taken by a liquid sample valve with dip tube. Five more samples followed after 5, 15, 30, 60 and 180 min. Afterwards the reactor was cooled down to ambient by the thermostat as fast as possible. Subsequently the insoluble humins were separated from the reaction medium by vacuum filtration. The process liquor samples were analysed by liquid chromatography (HPLC-DAD) and the humins were quantified by weighing. Since ethanol is used as solvent for the organosolv process, the hemicellulose stream after the digestion contains residues of that alcohol. Therefore, we were interested on furfural polymerization suppress capacity of different ethanol/water mixtures. This approach has an interesting benefit since after furfural separation ethanol/water stream can be reused for the organosolv process. Preliminary results show a correlation between the ethanol/ water ratio and the amount of formed humins. The ethanol content has also a strong influence and leads to an increase of furfural yield (Fig.1). Furthermore, reference experiments with pure water were conducted. The results are promise for further explorations with real organosolv hemicellulose hat should be carried out in the next step. 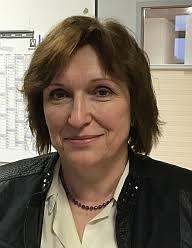 Tatjana Stevanovic has completed her undergraduate and graduate studies up to PhD at the University of Belgrade at which she was teaching Wood Chemistry and Chemical Transformation of Wood until 1997. Since then she is teaching these same cources at Laval University and performing research on bioactive polyphenols as well as on polymeric applications of lignins. She has published numerous scientific papers and book chapters as well as Wood chemistry textbook. She has deposited a international patent on new organoslv process leading to highly pure lignin along with cellulose pulp and bioactive extractives from pre-extraction. The complete transformation of forest biomass is at centre of our studies. The patented catalytic process was developed in order to remove the extractable polyphenols from forest biomass prior to pulp. The objective of the pre- extraction is dual: to remove the polyphenols soluble in ethanol-water, which could contaminate the catalyst used in delignification process, but also to get access to valuable antioxidant molecules with multiple bioactive properties. We have applied this process on trembling aspen wood. Components from pre-extraction step have revealed several polyphenols, some of which have been determined to have high antioxidant capacity. Organosolv lignin produced in this research was examined for use as carbon fiber precursor, as it can be spun both in molten form and from solution, by electrospinning. The stabilized lignin fiber obtained by spinning in molten form yielded a high carbon content carbon fiber. The mechanical properties of the carbon fiber spun from organosolv lignin alone, without any polymer blending, were determined to have mechanical properties which are better than those published on other carbon fibers based on lignins. The polyphenolic constituents of lignocelluloses which are actually defining their woody nature are offering the perspective of very valuable utilisations. All polyphenols isolated from aspen wood, were analyzed by FT-IR, NMR, HPLC, GPC, GC-MS, DSC, TGA and XPS. 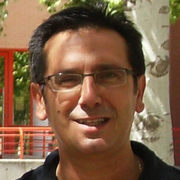 Moreno A has completed his PhD degree in Organic Chemistry from Universidad de Castilla-La Mancha, Spain in 1990. He carried out Post-doctoral studies at University of Oxford and University of Paris-Sud. 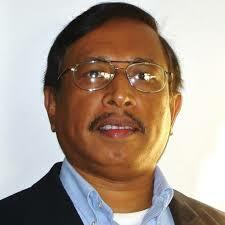 He became Assistant Professor in Organic Chemistry in 1995. In 2015, he obtained a full-time Professor position by Spanish Educational Government. Biomass has been recognized as the most promising renewable resource for the production of high value bio-chemicals, as 5-hydroxymethylfurfural (HMF) and levulinic acid (LA) which are biofuel precursors. Our research group works on agro food and lignocellulosic residues focusing on their carbohydrate contents. Carbohydrates are dehydrated in acidic medium at high temperature to obtain HMF and LA, which are interesting compounds as they involve in obtaining renewable precursors for the production of biofuels. The aim of this work involves the carbohydrate dehydration from the beer bagasse and the study of other agro-industrial wastes. Thereby environmentally friendly techniques, such as microwave radiation as energy source will be used for meeting some of the Green Chemistry Principles. Thus, we have obtained good HMF and LA recoveries, calculated by quantitative NMR (qNMR) and we compare these results when the reactions are carried out with conventional heating. 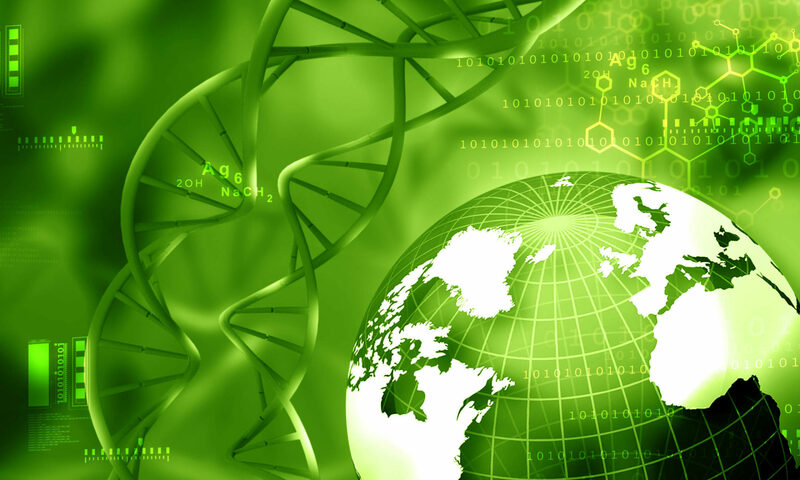 Moreover, we have been able to obtain biofuel precursors from waste using a green and environmentally friendly energy such us microwave radiation. Also, we have developed different methods to obtain one precursor or other changing experimental conditions. As conclusion, a method based on Green Chemistry Principles has been developed, being clean and environmental-friendly practices and thanks to the use of microwave energy. This method approaches the problem of the sugarcane bagasse, beer bagasse and melon rind as a residue and tries to palliate it; also they have been transformed in a source of biofuel precursors. The use of bio-ash as partial substitute for cement in civil engineering works, has the potential to reduce the overall net carbon dioxide contribution of the construction sector to the environment. Studies in the chemical stabilization of lateritic soils indicate the possibility of a relationship between the cation exchange capacity of lateritic soils and the optimal amount of pozzolanic ash required to affect a modification for soil stabilization purposes. This study investigates this further, using corn cob ash (CCA) and an A-2-7 lateritic soil as case study. Metallic oxide composition of soil and CCA respectively were determined using the X-ray fluorescence equipment from which the cation exchange capacity of the soil was determined. Various samples of soil-cement, soil-cement-CCA and soil-CCA were thereafter prepared and subjected to unconfined compressive strength (UCS) test, following the procedures of BS 1377-7:1990. Attempts to confirm the presence of silicates of potassium (K2SiO3) and magnesium (M8Si8O20(OH)8•12H2O) in the stabilized soil using Scanning Electron Microscopy (SEM) examination were inconclusive. The cation exchange capacity of the soil was theoretically determined as 1.45%, which is close to the CCA content of 1.5% that returned the highest UCS value. Further work is required to account for the different roles of potassium, calcium and magnesium (usually present in pozzolanic ash) in the stabilization of lateritic soils. 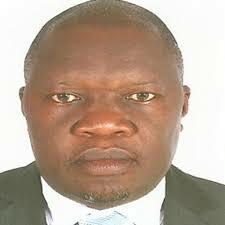 Pat Guiry Mria has completed his BSc and PhD from University College Dublin in 1986 and 1990, respectively. He pursued Post-doctoral Research with John M Brown, FRS at Oxford University 1990-1993 and was appointed as a College Lecturer in UCD in 1993. He has been full-time Professor at UCD since 2006 and is the Director of the Centre for Synthesis and Chemical Biology (2001-present) and was elected as a Member of the Royal Irish Academy in 2013. He has more than 130 publications that have been cited over 5650 times and has supervised 47 PhD students. This presentation will describe the design and synthesis of novel ferrocene-containing diols 1 as a novel scaffold for asymmetric catalysis and the novel axially chiral P,N ligand, UCD-PHIM and its applications in A3 coupling. The development of the Pd-catalysed decarboxylative asymmetric protonation for the preparation of ?-arylketones will be described, including recent advances in understanding the mechanisms involved in enantiodivergence and protonation with a chiral proton source. Robert Barthos has completed his PhD degree from the University of Szeged, Hungary in 2002. 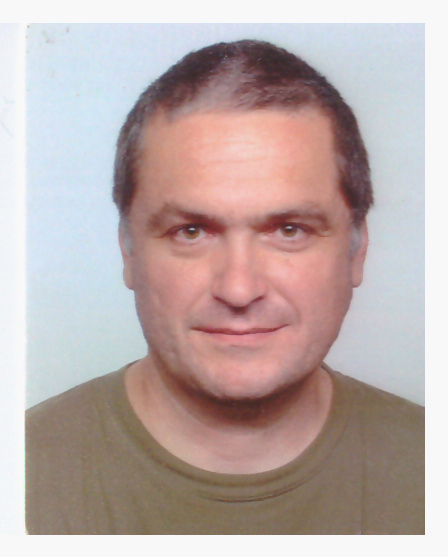 He is a Senior Research Associate at the Research Centre for Natural Sciences, Hungarian Academy of Sciences. His field of research interest includes heterogeneous catalysis, especially preparation, characterization, and catalytic testing of solid oxides. His 26 publications were cited 657 times. His publication h-index is 14. Ethylene is generally produced by thermal cracking of naphtha in the process involving a complex network of radical reactions resulting in a broad product distribution. The 1,3-butadiene, needed to rubber manufacturing, is obtained as by-product of the process. As a recent development, the oxidative dehydrogenation of ethane is getting to become the prevailing ethylene production technology, resulting in shortage on the butadiene market. Alternative, environmentally friendly butadiene production technologies are sought for the production of 1,3-butadiene from biomass-derived feedstock, such as bioethanol, attracts increasing academic and industrial interest. The transformation, leading from ethanol to butadiene must involve consecutive reactions, such as, dehydrogenation, hydrogenation, C-C coupling, and dehydration. Our research is focused on the catalytic mechanism of this complex transformation. The reaction was tested over three MgO-SiO2 catalysts, such as, natural and synthetic talc and a preparation, obtained by wet-kneading MgO precipitate and SiO2 nanopowder. The MgO-SiO2 material was doped by ZnO, In2O3 or Ga2O3 and the effect of doping on the product selectivity was investigated. The oxide catalysts were characterized by NMR and XPS methods. The surface basicity of the catalysts was probed by CO2 adsorption, determined by temperature-programmed CO2 desorption method. Our presentation will discuss the effect of catalyst structure and basicity on the reaction pathway and product yield in the ethanol-to-butadiene reaction. Dr. Bryan Li is currently a Research Fellow in the Chemical R & D of Pharmaceutical Science Small Molecule division, Pfizer Inc., Groton, Connecticut, USA. He received his B.Sc. from Eastern University of Science & Technology, Shanghai, China in 1986, and Ph.D. in 1993 from University of Rhode Island, USA under the guidance of Prof. Elie Abushanab. Subsequently, he worked in Prof. Gary Posner’s group at the Johns Hopkins University at Baltimore, Maryland as a postdoctoral fellow for two years. In 1998, he joined Pfizer as a process chemist, and serves as a program lead responsible for exploratory development of drug candidates. In addition, Dr. Li has been leading and driving the development and implementation of continuous flow processes in the production in Pfizer. Anhydrous tert-Butyl hydroperoxide (TBHP) is a powerful oxidizing agent in many chemical transformations. Despite the versatility in organic reactions, the use of anhydrous TBHP has been greatly limited due to safety concerns of its shipping, handling, and storage and particularly on the production scale. Herein, we describe a membrane pervaporation method that allows the production of anhydrous TBHP solution in continuous manner. The system consists of membrane modules in series those are made of perfluorinated polymer with very high gas permeability allowing it to remove water efficiently. The pervaporation skid has been successfully implemented in the production by continuously generating anhydrous 1.5 M TBHP solution in nonane up to 100 mL/min for more than 96 hours achieving the target of 0.15 wt% of water. An integrated continuous flow oxidation of a ?-butyrolactam produces 100+ kg of a pharmaceutical intermediate. We present a detailed kinetic study of the selective catalytic oxidation of different biogenic substrates to formic acid (OxFA process) using two different homogeneous polyoxometalate catalysts. By using high oxygen pressures (30–60 bar) and temperatures of 80–90°C in aqueous solution, we were able to investigate the rate-determining substrate oxidation step catalyzed by the oxidized form of the polyoxometalates (POMs) by keeping the concentration of the catalytic active species constant. Under these conditions, kinetic parameters like effective reaction order and reaction rate constants could be determined by the differential method for model substrates like glucose, fructose, sorbitol and gluconic acid. Finally, a detailed kinetic study for water-insoluble biomasses like beech and spruce wood showed differences in formic acid (FA) formation and product selectivities depending on the composition of the wood in terms of their ratios of lignin, cellulose and hemicellulose. 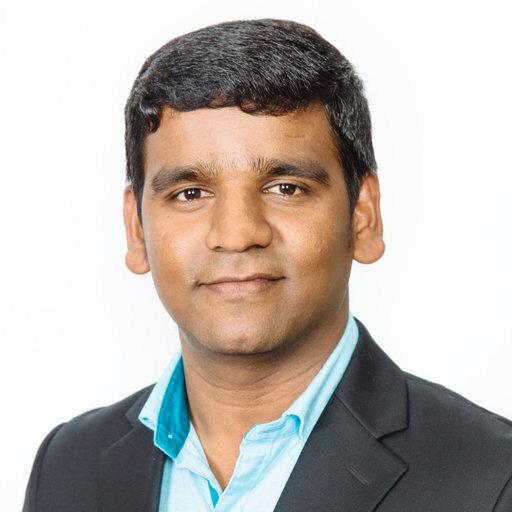 Thillai Sivakumar Natarajan has completed his PhD from CSIR-CSMCRI, Gujarat, India, in 2014 and then moved to South Korea and Taiwan for his Post-doctoral research and worked there until August 2016. In November 2016, he moved to Ireland and has been working as a Post-doctoral Researcher at School of Chemical and Bioprocess Engineering, University College Dublin, Ireland, under an Irish Research Council through Government of Ireland Post-doctoral Fellowship-2016 scheme. His research work mainly focuses on development of photocatalytic nanomaterials and surfaces and their use with different light sources (UV, solar and LED) in slurry and immobilized photocatalytic reactors for environmental remediation and energy applications. He has 20 research papers in internationally reputed journals and 4 book chapters. His publications have been cited over 800 times with the H-index of 12. The conversion and storage of solar energy in the form of hydrogen (H2) is a clean, affordable and sustainable fuel to meet the future energy requirement. Semiconductor based photocatalytic system for splitting of water under light irradiation is widely recognised as a sustainable method to produce H2. Different stable oxide semiconductors have been used hitherto; however, their H2 production efficiency is poor, due to their low visible light response, the position of conduction band (CB) potentials, rapid recombination of photogenerated electrons and holes. As a result, various visible light responsive materials have been developed, among those ternary chalcogenides like zinc indium sulphide (ZnIn2S4) has displayed excellent visible light photocatalytic activity for the required reactions. It is endowed with a CB potential (~0.8-1.1 eV) higher than the H2 (H+/H2, 0 V) evolution potential and a lower band gap (~2.2 eV). However, their low charge separation efficiency tends to decrease the net H2 production efficiency. To overcome this, different co-catalysts were loaded, among those, transition metal hydroxide (M(OH)2 where, M-Co, Ni, Cu) has been reported as an effective co-catalyst for H2 evolution. However, the water splitting reactions are studied mainly in the presence of sacrificial agents such as alcohols, Na2S, Na2SO3, triethanolamine. The use of sacrificial agents is not useful for practical applications as it is economically not viable. Therefore, herein we describe the synthesis of visible light responsive Cu(OH)2 loaded ZnIn2S4 photocatalyst for non-sacrificial water splitting to produce H2, for the first time. Cu(OH)2-ZnIn2S4 was synthesized via a facile hydrothermal method followed by precipitation and the samples were characterized using various physico-chemical techniques. The H2 production efficiency of photocatalyst was investigated by non-sacrificial water splitting under visible light irradiation. The results revealed that Cu(OH)2/ZnIn2S4 showed enhanced H2 production capacity than the pristine ZnIn2S4. This is attributed to the efficient separation of the charge carriers and the boosted catalytic activity of surface sites. This work would further lift the interest in developing visible light responsive photocatalysts for non-sacrificial solar water splitting. 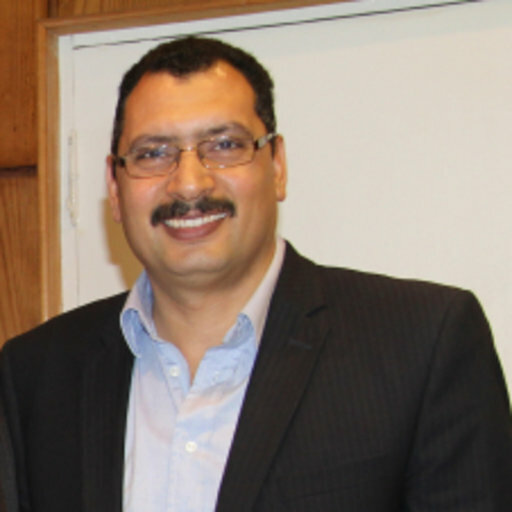 Dr. Atef Nassar finished his B.Sc. and M.Sc. degrees at Alexandria University, Egypt and the Ph.D. degree at McGill University, Canada. He is working as an associate professor of Pesticide Chemistry and Toxicology, at Department of Plant Protection, Faculty of Agriculture, Damanhour University, Egypt. He is involved in studying the adverse effects of pesticides to humans and non-target organisms. In addition, he is trying to find new alternatives to pesticides including nano-formulations of pesticides and natural products to reduce the amount of pesticides applied into the environment. He published many research articles in peer-reviewed and highly impacted scientific journals in the field of pest management and pesticides residue analysis and toxicology. Worldwide, the root-knot nematode (Meloidogyne spp.) is an invasive plant pathogen that could destroy up to 64% of the yield. Management strategies mainly depend on the use of synthetic nematicides that have adverse effects on human and the environment. Therefore, current study investigated the effectiveness of leaf extracts of Conyza dioscoridis and Urtica urens that were prepared as silver nanoparticles (Ag-NP) as nematicidal alternatives. The characterization and size confirmation of the Ag-NP were done by UV-Vis spectrophotometry and the scanning electron microscopy (SEM). The phytochemical contents of crude extracts and the nano formulations were analyzed using gas chromatography-mass spectroscopy (GC-MS). Results revealed that silver nanoparticles of C. dioscoridis and Urtica urens extracts had great nematicidal activity against the 2nd stage juvenile (J2) and eggs of Meloidogyne incognita. Also, the Ag-NP showed similar nematicidal effect to the reference nematicides. The GC-MS analysis revealed the increase of certain metabolites due to the formulation of the Ag-NPs. Aromadendrene, 1-hydroxy-1,7-dimethyl-4-isopropyl-2,7-cyclodecadiene, 6-epi-shyobunol, 4-hexylacetophenone, ?-isocomene, caryophyllene, ?- and ?-selinene, ?-cadinol, berkheyaradulen (It’s a sesquiterpene hydrocarbon that is detected in many plant species; Chrysanthemum boreale, chamomile oil, and many others,) and bis-(2-ethylhexyl)phthalate were increased more than 2.5-folds in the Ag-NP compared to the extract. Therefore, the green synthesis of metal nanoparticles might be a safe, e?ective and a?ordable nematicide alternatives. 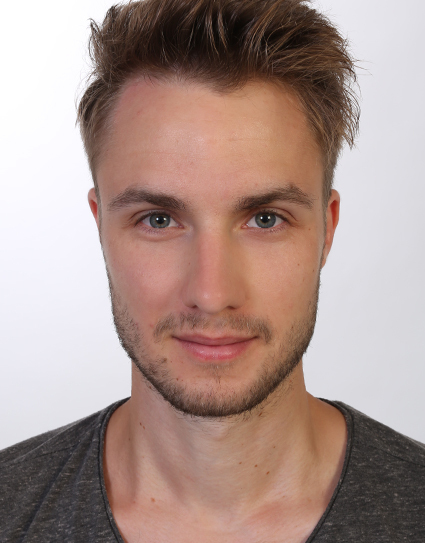 Tom Brunzel is a PhD student at the University of Rostock, Germany. 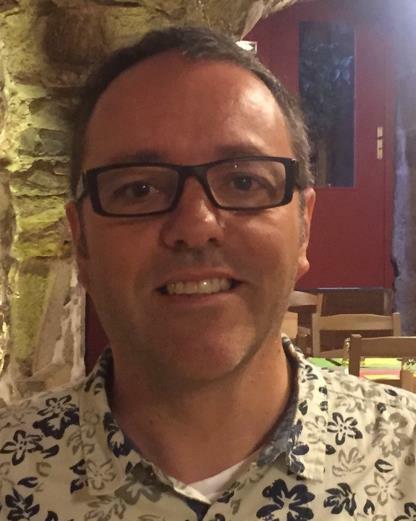 As a member of the department for heterogeneous catalytic processes at the associated Leibniz Institute for Catalysis, he focuses his work on selective liquid phase oxidation reactions. His research interests center around process optimization in laboratory scale, reactor techniques and transition metal catalyzed oxidation reactions of macrocyclic olefins. Tom Brunzel received his undergraduate degree in chemistry at the University of Rostock, where he focused on organic chemistry. He then moved to the Leibniz Institute for Catalysis where he got in touch with the synthesis of flavors and fragrances for the first time. Currently, he is still working on the development and synthesis of fragrance molecules for the fragrance industry. Ketones are ubiquitous in nature and play an important role as synthetic intermediates in organic synthesis and for the manufacture of bulk chemicals. While the palladium-catalyzed oxidation of terminal olefins to their corresponding methyl ketones, known as the Wacker oxidation, can be achieved efficiently in just one step, the oxidation of internal olefins is still challenging not least of its lower selectivity and reactivity. Multi-step synthesis and drastic reaction conditions have been used conventionally to overcome the lack of an efficient transformation of ketones from internal olefins. Regarding the increasing demand for greener and efficient processes, simplified methods are highly desirable. The Wacker oxidation was investigated to produce a monounsaturated ketone from a macrocyclic diene for a compound used in the fragrance industry. The most challenging step besides overcoming the low reactivity of internal olefin oxidation is to prevent substrate isomerization and formation of the diketone. Thus, the aim of the study was to find a catalytic system which could increase the conversion of the starting material and provide the desired monoketone with high selectivity. Different systems facing the aspects of green chemistry were investigated. Furthermore, parameters such as reaction temperature, time, concentration of catalyst precursors and co-catalyst/oxidant, solvent system, etc. were optimized. Especially in situ formed cationic PdII-salts introduced by Grubbs et al. have shown promising results. 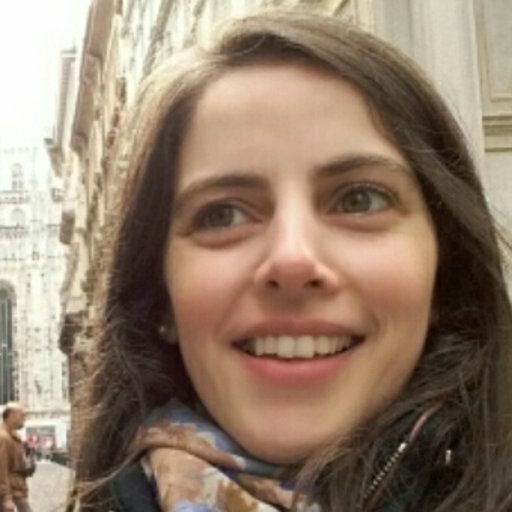 Filipa B. Pimentel is a PhD student in Pharmaceutical Sciences (Nutrition and Food Science Speciality) at the Faculty of Pharmacy of the University of Porto, Portugal. 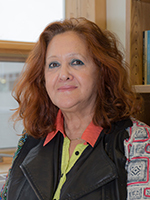 Since 2012, she is a researcher of REQUIMTE (Rede de Química e Tecnologia), the largest network in Chemistry and Chemical Engineering established in Portugal, which is focused on the development of Sustainable Chemistry. Her research activities have been developed at the Department of Chemical Sciences of the Faculty of Pharmacy of the University of Porto in the food chemistry and nutrition fields. She has 21 publications, cited over 150 times. Formerly, she completed her degree in Nutrition Sciences at the Faculty of Nutrition and Food Sciences of the University of Porto in 2004, and a Master in Food Service Management from the same Faculty in 2011. Over the last years, olive oil production increased worldwide. Along with the growth of this agro-industry sector, a high rate of residues has been produced. Olive pomace is the major output of olive oil processing. This olive by-product is a solid residue with high water and oil contents, being phytotoxic, due to its significant phenolics amount . Nonetheless, phenolics are bioactive compounds with well-recognized benefits for human health and well-being . Therefore, there is an increasing awareness to recover and apply these compounds on innovative food and/or cosmetic products. In order to assess the biocompounds composition of olive pomace, the proximate composition (total protein and lipids, ash, and moisture) and the profiles of vitamin E (HPLC-DAD-FLD), fatty acids (GC-FID) and phenolics (HPLC-DAD-FL/MSn) were determined. Furthermore, a sustainable process for antioxidants extraction - Multi-frequency Multimode Modulated (MMM) ultrasonic technique – and a conventional solid-liquid extraction were performed and compared . The total phenolics content and antioxidant activity (ferric reducing antioxidant power and DPPH• scavenging ability) of the extracts were analyzed in order to assess the efficacy of both extraction methodologies . The vitamin E profile of olive pomace comprised the vitamers ?-tocopherol, ?-tocopherol, ?-tocotrienol and ?-tocopherol. ?-Tocopherol was the major form present (2.63 mg/100 g olive pomace). The fatty acid analysis showed that the lipid fraction of olive pomace was especially rich in oleic acid (75%), followed by palmitic (10%), linoleic (9%), and stearic (3%) acids. The major phenolic compounds identified were distributed as follows: hydroxytyrosol > comselogoside > elenolic acid derivative > tyrosol > oleoside riboside. Hydroxytyrosol content was 238.4 mg/100 g d.w. of olive pomace, while tyrosol was present in lower amount (9.6 mg/100 g). Concerning the antioxidants extraction, the MMM technique allowed a faster (5 min) and higher recovery (p<0.05) of the compounds, compared to the conventional solid-liquid extraction (60 min). Hence, it seems to be a very promising green and effective methodology to extract antioxidants from olive pomace. Attending to the profile and content of the bioactive compounds present either in lipid fraction or in the aqueous fraction of the olive pomace, this residue is an exploitable source to recover bioactive compounds. Olive pomace valorization is, at this moment, mandatory, and the added-value products that can be obtained from it allow to foreseen new innovative industrial applications in a circular economy perspective.